Maggie Lynn has been writing about education, parenting and health topics since 2005, in addition to being an educator. She holds a Master of Science in child and family studies. 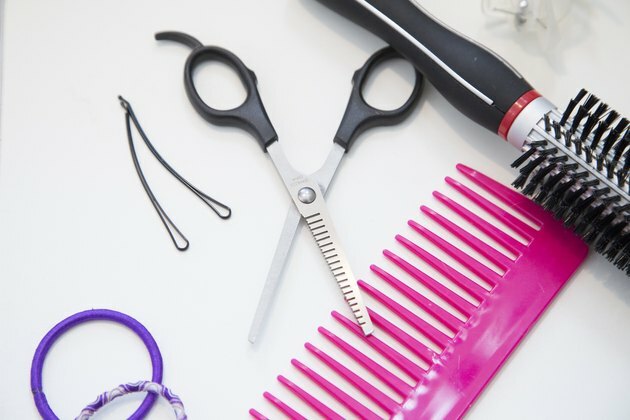 Thinning shears are a tool that looks like scissors but instead of cutting off a section of hair, thins it by grabbing and cutting some strands of hair but leaving others. They are used to thin very thick or curly hair, avoiding a "poofy" appearance. They are also useful to add texture and blend layers.Thinning shears can be found in beauty stores, super stores or online. 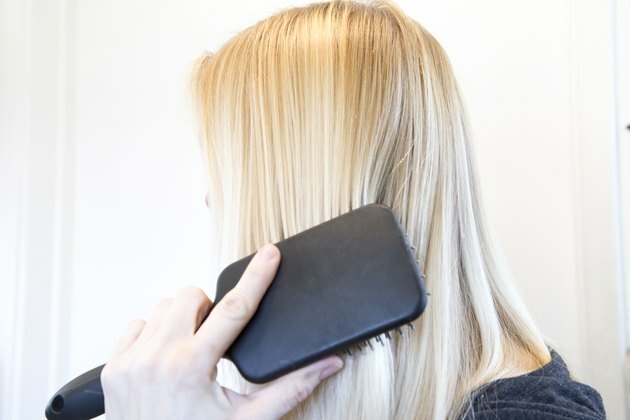 People with thin, fine hair should not use thinning shears. Brush or comb your hair until it is untangled and smooth. It is best to use thinning shears on dry hair because wet hair clumps together and you may remove more hair than necessary. If you have curly hair, consider straightening your hair before using thinning shears. This way you will know exactly where you are thinning out your hair. Place a small section of hair in between the blades. The blades should be several (at least 3) inches away from the scalp. Do not use the thinning shears at your roots or ends of your hair. Hold the thinning shears at a 45-degree angle. Gather a two-inch section of hair. Glide the shears down the hair's shaft to thin the hair. 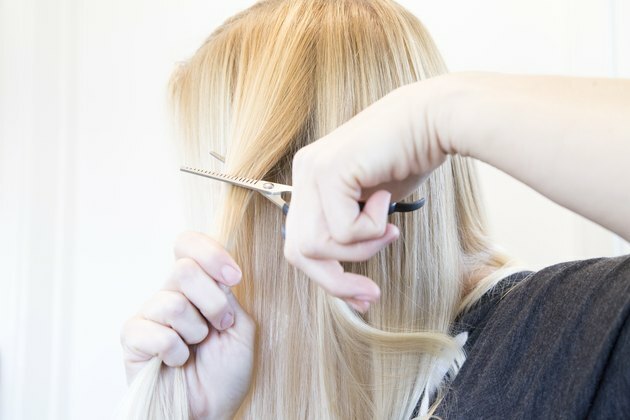 The length between cuts and how many cuts depend on the length of your hair. Begin again on a new section of hair. Start thinning a very small amount of hair. If you feel you need to thin out more, do so in small increments so you don't end up removing too much. 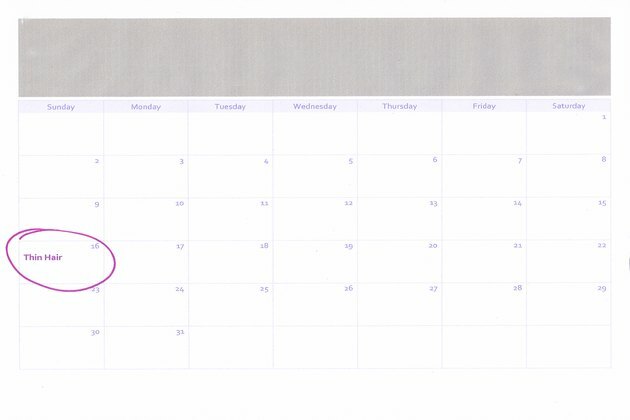 Repeat every four to six months. There are more advanced techniques to thinning the hair and creating style with thinning shears but are best left to a professional stylist. What Is the Difference Between Cutting Hair With Scissors & Razor Cutting Hair?